Just as winter is transforming the US into an icy tundra, South American summer is hitting fever pitch and peak beach season. And while you're throwing on another pair of long johns and scraping ice off your windshield, the locals in Rio are wearing thongs and playing beach volleyball. Yes, we're wondering why we're still here, too. But to plan an epic winter beach escape to the Southern Hemisphere, the first thing you need to know is which beach to hit. These 12 are the best South America has to offer. 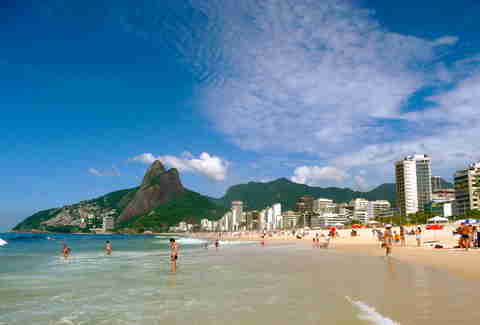 Why it made our list: The girl from Ipanema goes walking, as the song says, and she’s headed right down to this beach. Many girls, in fact, and lots of dudes too. And in keeping with Brazilian style, you bet your bottom dollar they’re all wearing thong bikinis and their finest zungas (Speedos). Of all Rio’s beaches, this is considered the prettiest, because it offers a great view whether you’re looking at the beach or the crowds. Bonus: Numbered posts (or postos) mark the beach, and Post 9 is where the see-and-be-seen crowd posts up. Why it made our list: Consider Cariló the Hamptons of Argentina, but woodsier. 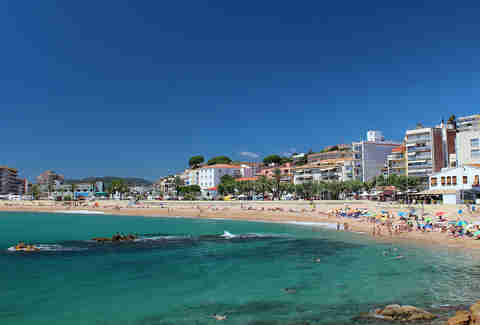 Dotted with exclusive private residences (each uniquely designed to fit the owner’s fancy), Cariló features lush pine tree forests and grasses leading right up to the sand. Bonus: For livelier nights, people head to neighboring Pinamar just up the road. 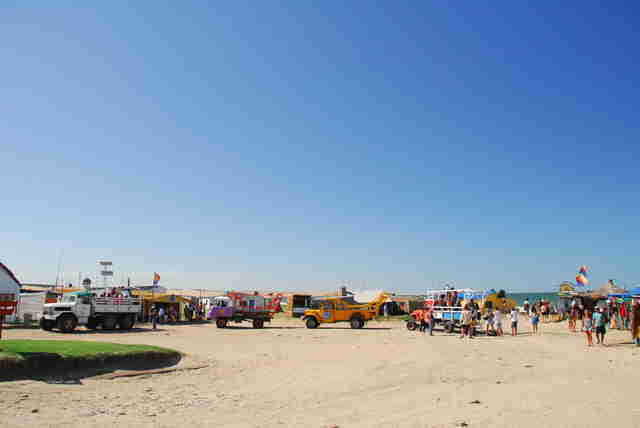 Why it made our list: Although Jose Ignacio usually gets lumped in with Punta del Este, it's technically about a 40-minute drive from the city proper. The extra time it takes to get there, however, is totally worth it. This one-time fishing village is now the sceniest spot in Punta del Este, yet it still manages to maintain a laid-back feel. Nestled in from the sand you’ll find art galleries, boutiques, and some pretty spectacular homes. Bonus: You won’t want to leave without having a meal -- accompanied by some Champagne, rosé, or clericó (white sangria), of course -- at the inimitable La Huella. This parador is an open-air restaurant situated mere steps from the ocean and serves delectable whole grilled fish, octopus, and more. I’ll make a bold statement and say it is my favorite restaurant in the WORLD. Yep, in the world. It's that good. Why it made our list: If we’re being honest, Cartagena’s storied beaches really aren’t all that impressive. The sand is dark and pebbly, and the hawkers pushing their wares, massages, and hair braiding are many, so, so many, and tireless. But then you hop a rickety little speedboat from the port one morning out to Playa Blanca and, wow. White sand beaches, clear blue water, and peace. That’s the stuff. Bonus: Some operators will whisk you off after a half day at Playa Blanca to nearby Islas de Rosario, known for dolphin sightings. 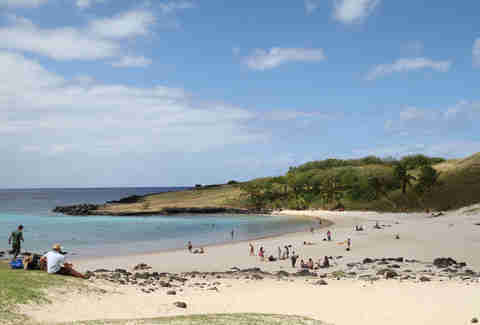 Bonus: Anakena is only one of two sandy beaches on the rocky island, so people really soak it up. Why it made our list: There’s a reason this beach was named the world’s best in TripAdvisor’s annual Travelers’ Choice Awards. Or maybe there are many, because the place has close to 4,000 reviews and a perfect five-star rating. For some, it’s how pristine the white sand and green-blue water appear, while others are taken by the recreational diving -- visibility stretches over 150ft and there are plenty of sea turtles. And still for others, it's the beach's exclusivity; the government only allows a limited number of tourists ashore each day -- the 21-island archipelago is a UNESCO World Heritage site and they’re serious about protecting it -- so you’re going to want to plan ahead. Bonus: Last year the island saw an invasion of cururu toads, which while reminiscent of a Biblical plague, somehow just make the place more endearing. Why it made our list: Once a sleepy fishing village (weren’t they all), Máncora is now Peru’s marquee beach destination. Don’t worry, though, there are plenty of alternative digs like hostels mixed in with the grand resorts. That’s because surfing is a huge draw here, and thus, there are plenty of surfers, whose relaxedness mixes nicely with the heady nightlife and jet-set side of it all. Bonus: South Beach is about a 15-minute walk off Máncora’s main beach drag and weeds out the partiers from those looking for some peace. 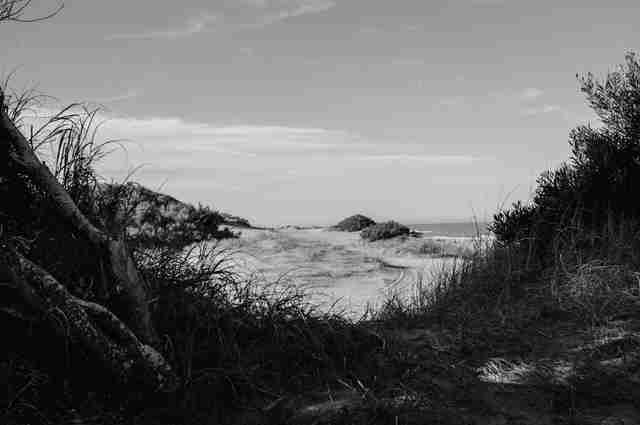 Why it made our list: Worlds away from Punta del Este, and just about everything else, is Cabo Polonio, the hippie beachfront hamlet with no roads, electricity, or running water. Yup, you read that right. Still, it’s a functioning locale with many happy residents who fully embrace the simple lifestyle… and the country’s legalization of marijuana. Bonus: You might recognize this place from Anthony Bourdain’s No Reservations Uruguay episode. Bourdain stopped in at a bar with a pet penguin that had somehow found its way to the seaside haven. Why it made our list: While now might not be the best time for a US passport holder to vacay in Venezuela, one look at these waters and you may be willing to roll the dice. 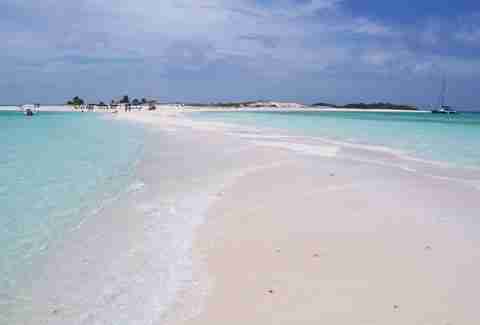 Los Roques National Park is an archipelago consisting of hundreds of tiny islands, so you’re bound to find a patch of sand to call your own. Cayo de Agua in particular is flanked by the Caribbean and you can expect astounding, sparkling, clear blue waters. Bonus: With over 900 square miles of coral reef in the national park, the life aquatic is spectacular. Why it made our list: You’re not really here to swim, but neither was Darwin. 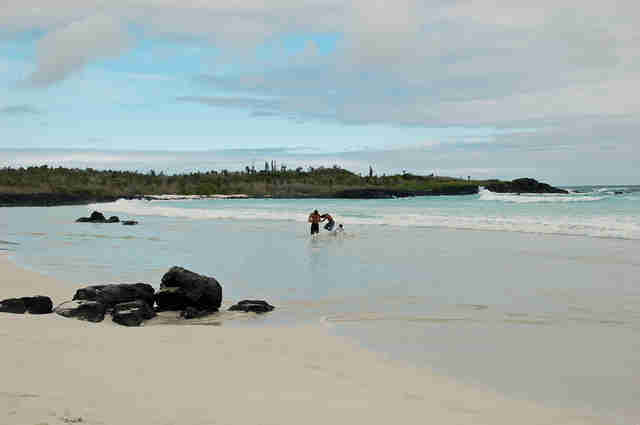 The beach is a ways from the center of Puerto Ayora, and the last mile or so of the trek is only doable on foot. 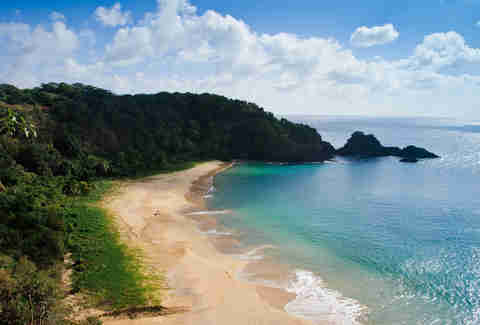 The reward, however, is a pristine beach with a wide array of flora and fauna. Bonus: Farther afield is a small lagoon where people swim. And other than folks renting kayaks and snorkels and such, you won’t see nary a vendor. 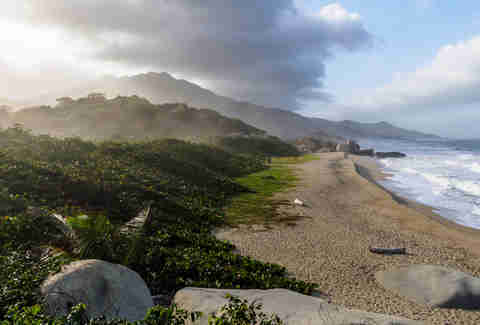 Why it made our list: If you ask a Colombian for a beach recommendation, chances are they will name Parque Tayrona immediately. Colombians are proud of Tayrona, which is located along the Caribbean coast near the Santa Marta mountain range, and they love when foreigners experience it. The national park is so geographically diverse that, in addition to beaches, it includes mountains, rainforest, and even arid sections with cacti. And while the riptide is strong, in certain areas you can still surf and snorkel. Oh yeah, you can also rent a hammock and spend the night! Bonus: Not only do some indigenous tribes continue to call this area home, but there are also ruins nearby that you can visit if you hire a guide. Why it made our list: Popularized by surfers and settled by hippies, Montañita hasn't strayed far from its roots; it's about as liberal a beach destination as you can get, right down to people partaking in (legal in small amounts) marijuana. All with an open mind will certainly feel welcomed. Bonus: In addition to throwing massive celebrations for Carnival, Montañita also hosts an international surf competition every year around the same time. Karina Martinez-Carter is a freelance journalist now based in New York City after five years in Buenos Aires, Argentina. Follow her on Twitter and Instagram: @KMartinezCarter.